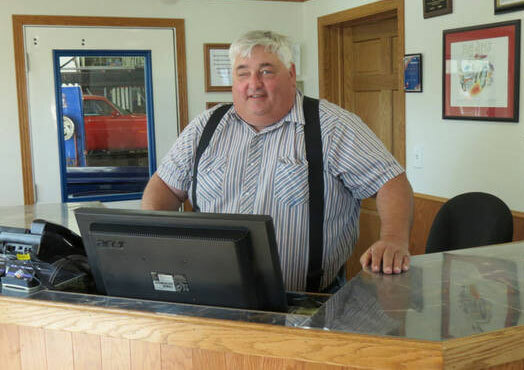 Big Jim’s is a small but mighty family-owned auto repair shop that’s been serving Cedar Rapids, Iowa for over 30 years. We provide a variety of auto services and repairs, doing everything under the hood. We are a team of four who strive to help our customers maintain and repair their vehicles by using our skills and values. Our skills are in auto mechanics, but we value treating everyone fairly and communicating honestly. We treat every vehicle and every problem as if it was our own, helping alleviate the stress that car trouble can cause. We are experienced with European made cars, and always love the chance to peek under the hood of a classic. Whether for regular maintenance or a necessary repair, we are grateful that our customers feel welcomed and taken care of at our shop. Whether you know cars or you don’t, we’ll do our best to educate you and treat you like an equal.